Coyote Blog » Blog Archive » Eeek! Austerity! Oh, Never Mind. 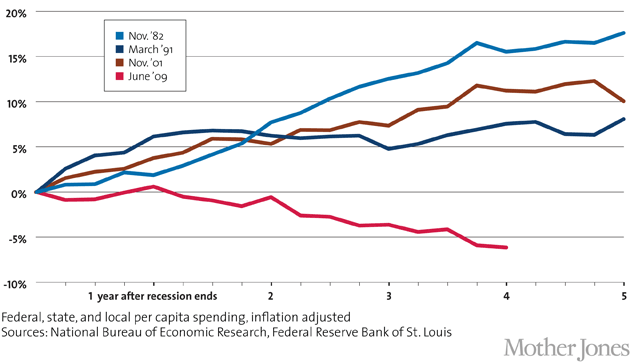 This recovery – including the largest postwar stimulus – has been the worst postwar recovery on record, and possibly the worst of all time. My reply was to the final question in the OP. 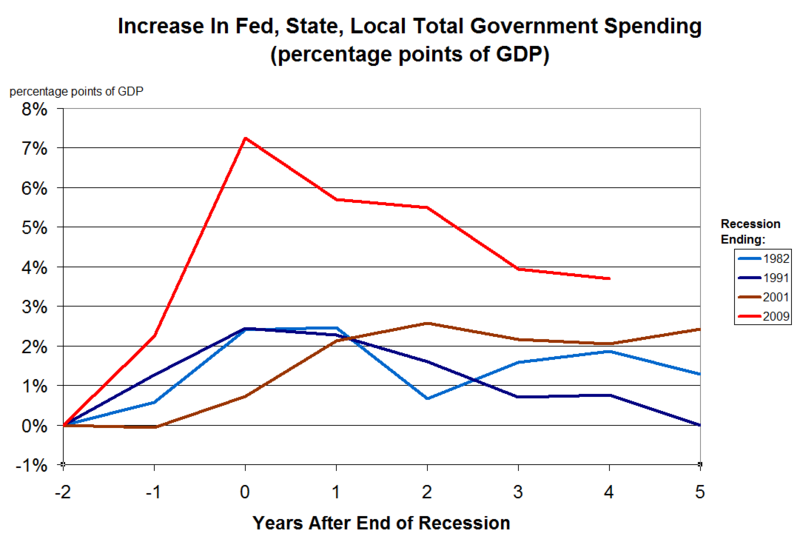 No, to me that chart shows the opposite of austerity on the part of the government. Thanks for all the hard statistical analysis you take the time to do for us readers.